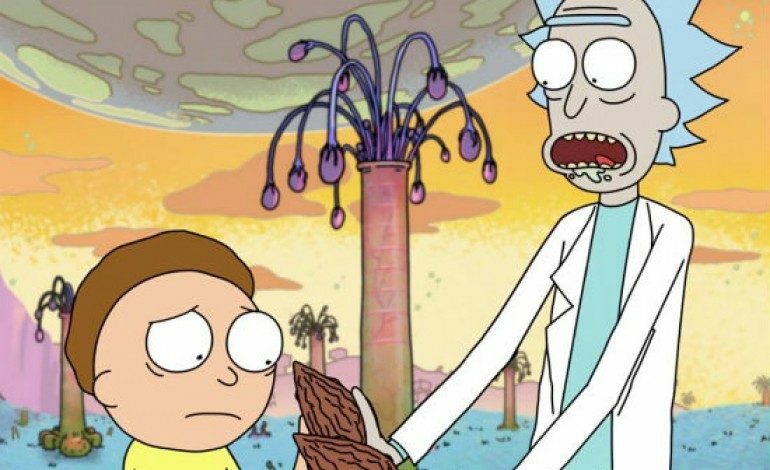 Just three episodes into its sophomore season, Adult Swim has announced that animated comedy Rick and Morty will be renewed for a third season run. The brainchild of Justin Roiland and Dan Harmon, Rick and Morty is an adult cartoon featuring a borderline-insane mad scientist, Rick, and his gullible grandson, Morty (both voiced by Roiland himself) speeding across the galaxy and experiencing a plethora of extraterrestrial adventures. Sometimes they fight crime, sometimes they’re the instigators of trouble, but all of their ups and downs are laced with Harmon and Roiland’s trademark dark comedy and unique hilarity. Rick and Morty‘s first season was an instant success, thanks to its revolutionary blend of Simpsons-esque family drama and situational humor, mixed with the more Futurama-like incorporation of intergalactic fantasy. Rick and Morty fits perfectly into the hilarious Adult Swim lineup, but also manages somehow to stand out. Its pickup for a third season comes as no surprise to Adult Swim devotees who have watched Rick and Morty‘s graceful arc from its smashing debut, to its emergence as an Adult Swim cult favorite in its second season. Season two has seen a modest increase in viewership in comparison to season one, and “its season 2 premiere on July 26 ranked No. 1 in its time period among all kay adults and men,” according to Deadline. New episodes of Rick and Morty air on Adult Swim every Sunday at 11:30 PM.